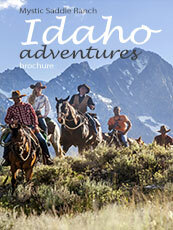 Idaho has become a destination state for outdoorsmen and hunters across the country. In 2018, the entire state of Idaho, in every hunting unit, sold out of rifle elk tags for out of state hunters. This was the first time that has ever happened! Many sportsmen are finding that fighting the general hunting season crowd has really put a damper on their hunting experience and have decided to look at outfitted hunts that allow them to get further back into the prime elk country and out of the ATV and busy hunt traffic. At Mystic Saddle Ranch we have a variety of hunt options to help you pick the guided hunt that fits your needs best. There is perhaps no better hunt than chasing big bulls in unit 36A-2. This eight day, fully guided hunt is some of the best that the state of Idaho has to offer. Unit 36A-2 is made up of prime habitat for elk and is a draw-only unit for rifle tags. This means that the hunting pressure is low and the unit currently has the best cow-to-bull ratio in the state! You don’t need to put in for the draw and just cross your fingers! 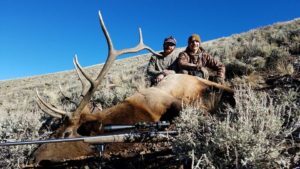 Mystic can provide you with a tag and all the camping equipment, meals and expertise so that you can settle into the back country for eight days of chasing down big bull elk! For rates click here. For availability, give us a call at 208-774-3591. These hunts sell out almost immediately, so be sure to contact us right away if you are interested!